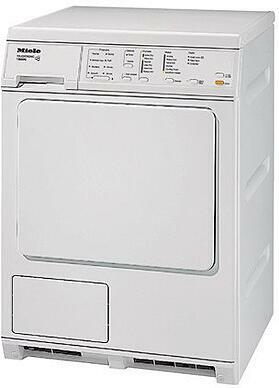 Compact laundry generally refers to 24 inch washers and dryers. This size is convenient for stacking in closets or placing side by side in a standard 24 inch kitchen cabinet. Almost all compact laundry is built and/or engineered in Europe. 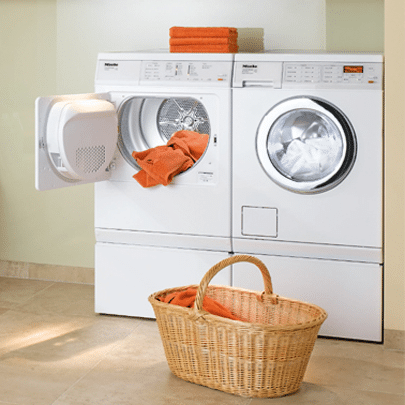 Europeans typically have smaller kitchens and living spaces, so compact laundry is a staple. Since these machines are only available in electric models, gas hook-up is not an option. Smaller washers and dryers, however, have become more popular in the US over the last 20 years especially in urban areas like Boston. It is also becoming more popular with empty nesters, because you can place laundry units upstairs and other convenient areas. There are fewer brands in compact laundry as GE and Whirlpool have exited the market. 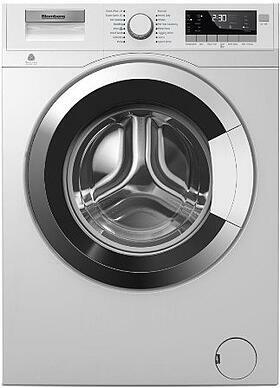 The most popular compact laundry, Bosch, has decreased their offering by 50%. According to the new regulations, dryers now must contain a fire for 7 hours. Most companies cannot meet these standards. In fact, all the companies with a couple exceptions cannot meet the standards with vented dryers. If you are buying compact laundry, you now must consider condensation, non-venting dryers. A vented dryer is ducted outside your house, which is technically preferable. However, fires often begin from improper plastic ducts and an overabundance of lint (you clean yours, I hope). Condensation or non-vented dryers convert steam into water. You would have to empty a tank after each wash (although our delivery guys run a line from the dryer to the water waste line, so it would not be necessary). Condensation is not much less efficient than vented, but it does emit heat through the front of the machine. 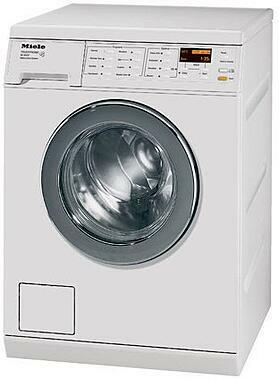 Blomberg is a quality and trusted name in the European household appliances market. 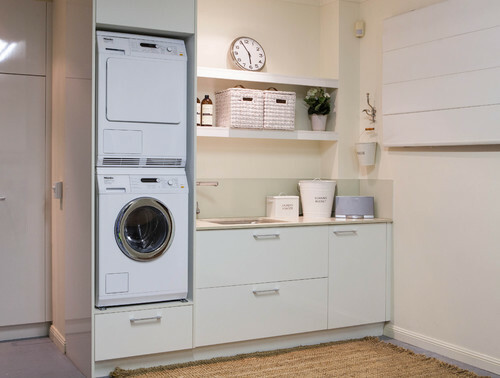 Owned by the Turkish Arcelik, the 3rd largest appliance manufacturer in Europe, Blomberg has gained a sizable presence in the average European home with a full array of products. Turkey is the home of many appliances, from Blomberg compact laundry to Gaggenau, Bosch and Thermador refrigerators. 24 Inch 2.5 cu. ft.
24 Inch 4.1 cu. ft.
Miele is the largest family-owned appliance company in the world, headquartered in Germany. They manufacture almost every component for their appliances, including controls. In a world of outsourcing, Miele is almost completely integrated and produces all their equipment in one factory. An average appliance lasts 6-10 years, but Miele designs their machines to operate for 20 years. At a $2,000 difference, you are almost comparing two different products. Let's talk about them both in greater detail. First, there is nothing wrong with Blomberg or we would not sell the brand. In fact, we do not sell similarly low price units like Summit, Malbar or Equator brands. Blomberg is mostly known for other brands equipment like Viking dishwashers as well as Bosch, Thermador, Gaggenau and Bosch refrigerators. 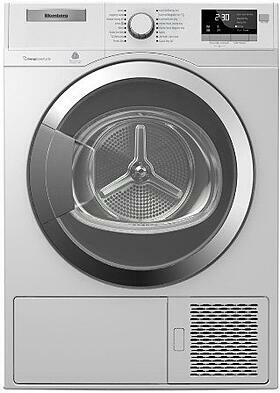 The washer and dryer has decent features and is the only company to offer a vented dryer for compact laundry. They are certainly worth a consideration. In 2015, the service rate of Blomberg laundry was only 8.2 % within the first year, which is excellent. Miele is the best manufacturer in the appliance industry. They are also the least serviced brand sold at Yale. Miele laundry is smartly designed, using a honeycomb inspired stainless steel tub. Because of the indentations of the honeycomb, the clothes do not actually touch the tub of the machine. Thus, Miele is the only machine to be able to wash fine washables like silks. Miele will only offer their dryer in condensation, but they still are the best laundry available. 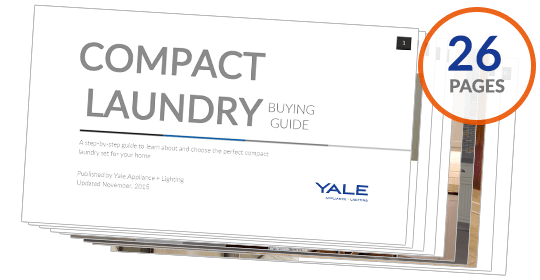 So, it depends on your budget and what you wash.
Get our Compact Laundry Buying Guide for more in-depth information about every major compact laundry manufacturer like Bosch, Asko, Blomberg, and more. Over 160,000 people have already found answers in a Yale guide.